Doubtless you’ve heard of Doubtless Bay if you’re from or have visited New Zealand’s Northland region. Otherwise you well may not have heard of that body of water, which reputedly got its name when Captain Cook sailed past it and wrote in his diary that it was “doubtless a bay.” We drove along the shore of Doubtless Bay on February 13th and stopped in several places. 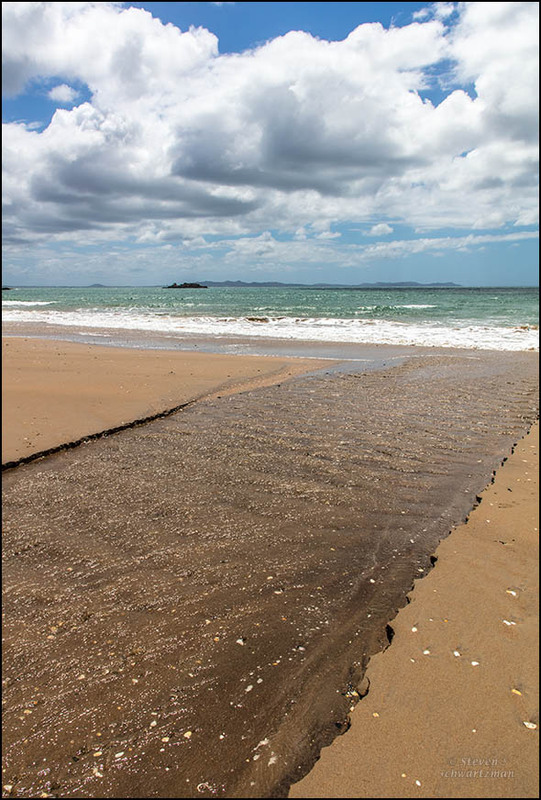 The one shown above is Coopers Beach, where I was intrigued by the way a stream etched itself into the sand as it flowed into the bay. The flowing water occasionally caused bits of the stream’s sandy banks to crumble, creating the jagged margins you see here. 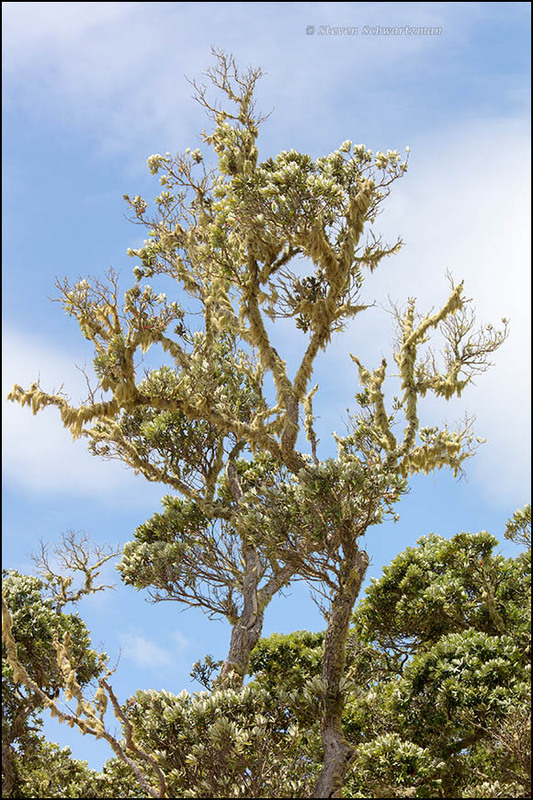 Looking in the opposite direction, I saw one of my old friends from the first visit to New Zealand, a pōhutukawa tree (Metrosideros excelsa).